This CD contains insert songs to the TV anime Love Live! Sunshine!! (ラブライブ!サンシャイン!!). 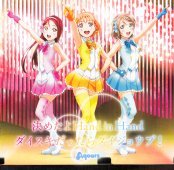 Songs by the Aqours (アクア) members Inami Anju, Aida Rikako, Saitou Shuka. 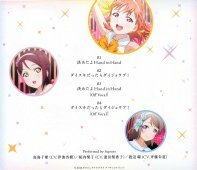 "Kimetayo Hand in Hand" was used in episode 1, "Daisuki Dattara Daijoubu" was used in episode 3.